Your decision should be influenced by the personality of the individual cat, if she needs any special care, how long you’ll be gone, perhaps if you’ve heard awesome recommendations for a specific kennel or sitter and any other special circumstances and cost. >>Is your cat friendly and easy-going? Does she hide or take off running? Is she hyper with other people? >>How does your cat react to travelling in her carrier…in your vehicle? >>Are you going to stay at someone’s house? Have you asked their opinion about bringing your cat? Are any of those people allergic to cats? Do they have other animals who won’t get along with your cat? Are there young children who are familiar with cats? Will those kids pester your cat? >>Are you staying at hotels? – be sure they are “pet friendly”. >>You’ll need to take with you: litter box, litter, litter scooper, bags, food (don’t forget if you use canned food and do NOT use an entire can for a meal, then you’ll need to refrigerate the leftovers), water, treats, two bowls, spoons (for canned), something to clean the bowls, blankets, toys, any medications, a cat first aid kit is nice to have on hand, sticky rollers or something to remove all the tons of loose cat hair everywhere, cat carrier, leash and harness (if you use them), something to clean up vomit and/or potty accidents, and anything else I might have forgotten. Whew. >>Check out the kennel or the vet’s boarding area BEFORE you take off on your trip to ensure you are pleased with it. >> Reputable kennels require proof of your cat’s health care. Get vaccination information from your veterinarian in advance. >>It’s less stressful on your cat if the boarding area is AWAY FROM the area where dogs are boarded (noisy). >>If your cat has health issues, veterinarians may be the way to go as they can monitor your cat. Should your cat become sick, they will be able to treat it immediately. >> Many boarding facilities will spend time playing, grooming & petting your cat, as well as basic cat care. >>Take items that are allowed…kennels usually have more room for your cat’s personal goodies; such as: blanket, scratching post, her own litter box & litter, toys. Definitely take your cat’s food – whatever she is used to eating! >>Some cats do NOT do well staying outside their homes. They may act up, not eat, hide, etc. Most cats will do fine after a day. >>If fleas or parasites are found on the cat upon arrival, most boarding facilities will treat your cat before placing the cat in its designated “room”. The parasite treatment will be at your expense. >> Most vet offices can only offer limited sized cages. This may work for a short time away, but I don’t like the idea of my cat stuck in a cage for days and days, and possibly not being taken out often for exercise. Boarding facilities are set up for longer stays and have larger areas for the cats to freely move around in. >>Cats prefer staying in their home with all their familiar surroundings, scents and stability. >>A cat sitter could be a friend, neighbor, family member or a professional pet sitter. Try to have them visit you and your cat a few times before leaving on a trip. >>Have the cat sitter come to your house at least once a day to: clean out the litter box, provide fresh water and food, give meds if required, and attempt to play with the cat to help burn off some energy. 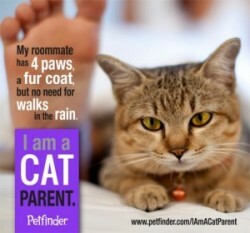 >>There are some professional pet sitters who are trained to care for cats with special needs or conditions. Although in my opinion, if the cat requires special care, she should probably be taken to the vet’s office to be boarded. If the needs are not critical, perhaps a regular kennel would work, too. >>Provide the cat sitter with: your vet’s phone number, a number (or numbers) to reach you while you’re away, anything special that the sitter needs to tend to, and what the sitter is allowed to do in case the cat needs emergency medical care. You can contact your veterinarian and let them know you’re leaving your cat at home with a cat sitter taking care of your cat, and if anything happens, what the vet has permission to do in your absence. 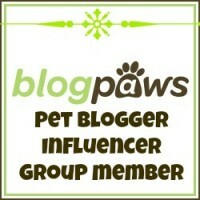 >>A pet sitter, if asked, can turn lights on/off and bring your mail inside. >>Your cat can become bored or depressed being left alone for such long periods of time in between the cat sitter visits, which could result in “bad” behavior. It is wise to cat-proof the house massively before leaving on a trip, including setting out an extra litter box, closing the doors to most of the rooms, storing away cords and other items your cat could chew on. >>You need to be comfortable having someone (possibly a complete stranger) enter your home, properly care for your cat and to not let your cat escape out the door. Gina says: If you’re wondering what I do when we go away somewhere (which is almost never), I board my cat, Jessie, at a pet resort (kennel). They have a separate area for cats and each cat has her own roomy cage. They interact with the cats, allow them individually to play in a larger room with a window to look outside, and I can bring her personal items! They are super strict with showing proof of vaccinations, checking for fleas before admitting the pet, and keeping the animals separated from each other. It will hopefully be like a vacation for her, too, or at least a home away from home. My husband and I don’t feel at ease using a pet sitter and I’d be concerned about the long stretches of time in between the visits and what in the world Jessie would be getting into. Jessie Cat says: I’m a very good girl when my human is gone for the day. But I think I’d be racing through the house at night and getting into trouble if she wasn’t home. I’d be worried. I like being around her and all the loving she gives me. And she always keeps my litter box cleaned up. Not much irritates me, though, and I think I’d be a nice guest at the pet resort.